Concerned about a perception of an increased national security threat to sensitive sectors of the U.S. economy, the U.S. Government is implementing tighter controls on foreign investors looking to acquire ownership in U.S. companies. Most notably, the new controls now impact non-controlling investments in a large swath of high technology and IP-intensive sectorsi and mandate that these be disclosed in advance. While we expect the U.S. Government to continue to focus primarily on transactions involving countries viewed as economic or military adversaries to the United States, the open-ended scope of the new measures cautions companies to consider the possibility that a transaction may trigger scrutiny – such scrutiny can, at a minimum, cause lengthy delays, and, at the extreme, lead to the blocking of transactions or even penalties amounting to the value of the deal. In general, we recommend that companies on either side of a transaction that may implicate the recently adopted measures carefully consider the national security implications, which are often opaque or difficult to assess by those not versed in the national security area. This is particularly so with respect to so-called “foundational technologies” which are, by their very nature, at an early stage and whose national security implications may be less obvious, but are a key area of concern for the U.S. Government. In August 2018, President Trump signed the Foreign Investment Risk Review Modernization Act of 2018, or FIRRMA. 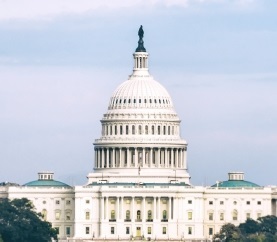 The new law broadens and modernizes the mandate of the Committee on Foreign Investment in the U.S. (“CFIUS”) to review investments and acquisitions by foreign companies. Since the 1970s, CFIUS, a mostly opaque and arguably secretive committee of government agencies, has vetted acquisitions by foreign buyers against a loosely defined set of national security criteria. CFIUS historically has approved the vast majority of deals presented for review through a voluntary process that buyers and sellers undertake jointly, which typically takes 1 to 3 months to complete. Since 2008, when the CFIUS process was last reformed, the number of deals reviewed through CFIUS increased from between 100 to 130 per year to over 250 in 2017. Much of the increase was driven by investments from China. More recently, coinciding with heightened concerns about Chinese investments, the number of deals that have run into major delays or have failed to receive CFIUS approval has increased – four of the five deals blocked by a president have happened since 2012. However, many more deals have been quietly killed off through the CFIUS administrative review process and others have required multiple filings with CFIUS, taking six months or longer to complete a review. In response to concerns that the CFIUS process had become an inadequate safeguard, particularly with respect to Chinese espionage and intellectual property theft, Congress debated a number of reforms culminating in FIRRMA. During the same period, concerns over Chinese efforts to acquire 5G technology for next generation wireless culminated in a move by CFIUS to block the acquisition of Qualcomm by Broadcom, the largest deal blocked to date. Procedurally unprecedented, CFIUS acted against a company then based in Singapore – a close U.S. ally – over concerns that the Chinese government would indirectly benefit in the race to develop fifth generation mobile telecom networks. FIRRMA simultaneously provides CFIUS with more time to conduct a review and investigation, expands the scope of activities that are subject to CFIUS review and provides a new option for parties to seek a quicker process in certain situations. CFIUS now will be able to spend 45 days to conduct a review of a transaction, an additional 15 days which may enable it to complete more reviews without having to spill over into an investigation. Additionally, when issues arise during a review that cannot be easily mitigated or that require more in-depth analysis, CFIUS will be able to extend the 45-day investigation period by another 15 days. These extended timelines will doubtlessly permit CFIUS to handle more transactions within the defined statutory period without requesting parties to voluntarily withdraw and resubmit more complex deals. Real Estate: Transactions under CFIUS purview now include those that involve the purchase or lease by a foreign person of real estate that is in “close proximity” to an airport or a maritime port, a military installation in the U.S., or to a facility or property of the U.S. Government that is sensitive for reasons relating to national security. Physical proximity has long been part of CFIUS’s risk analysis, but this provision formalizes and expands the definition of “covered transaction” to include acquisitions of property. CFIUS has not yet defined “close proximity” more precisely, but this has often meant an area in the immediate vicinity of military aircraft operations or significant communications infrastructure. Minority Investment in U.S. Critical Infrastructure: FIRRMA extends CFIUS review to reach any “non-controlling” investment in a “critical infrastructure company” or a U.S. “critical technology company.” This provision aims to address concerns surrounding attempts by foreign companies to acquire critical technologies through minority investments. Under FIRRMA, the key factors that CFIUS will use to determine whether a transaction should be reviewed include whether the business (i) produces, trades in, designs, tests, manufactures, services, or develops one or more critical technologies; (ii) owns, operates, or primarily provides services to an entity or entities that operate within a critical infrastructure sector or subsector; or (iii) maintains or collects sensitive personal data of U.S. citizens that could be exploited to threaten national security. “Passive” Investments: Previously, transactions where the foreign investor held a passive 10% or less of the target company were ostensibly outside the scope of CFIUS. FIRRMA adjusts this exemption by clarifying what makes an investment passive: specifically, the foreign person cannot have access to any material, non-public, technical information. The narrow exemption for passive investments also can extend to situations where (i) the foreign investor’s role in management is solely advisory and does not include substantive decision-making powers and (ii) where a non-foreign general partner, or other equivalent, manages the investments exclusively. Evasion or Circumvention: FIRRMA addresses concerns that some acquisitions were being structured by foreign buyers to slip by the limits of CFIUS jurisdiction. CFIUS jurisdiction now extends to transaction structures “designed or intended to evade or circumvent” such review. Passive investment structures have been the most likely to elicit such concerns. The extent to which the transaction could expose personally identifiable information or other sensitive data of U.S. persons. On October 10, 2018, the Department of the Treasury issued the first of its regulations under FIRRMA, implementing a temporary pilot program that allows CFIUS to monitor certain investments even when the foreign investor does not gain full control of the target American business (“non-controlling investments”). Non-U.S. persons and companies must now disclose non-controlling investments into certain sensitive and high-technology sectors to the U.S. Government in advance of the deal closing, or risk penalties as high as the value of the transaction. The pilot program’s mandatory declarations for 27 “foundational technology” sectors represent the first time CFIUS has required companies disclose transactions – the pre-screening process had previously been voluntary for the buyer and seller. Under the pilot program, any qualifying foreign investments into qualifying U.S. investment targets must be disclosed to CFIUS through either a formal notice filing or an abridged declaration filing. Any involvement, other than through voting of shares, in substantive decision-making of a U.S. business regarding the use, development, acquisition, or release of critical technology. Qualifying U.S. Investment Targets: The pilot program requires CFIUS disclosure if the U.S. investment target is part of a defined list of industries. The U.S. business must be one that produces, designs, tests, manufactures, fabricates, or develops a critical technology that is utilized in connection with the U.S. business’ activity in certain industries including: aircraft, electronics, military, nuclear, chemical, semiconductor manufacturing, and research and development in biotechnology. Critical Technology: Critical technology includes items covered by the United States Munitions List, items on the Commerce Control List, nuclear related materials, items covered by the Select Agents and Toxins regulations, and emerging and foundational technologies (not yet defined under the Export Control Reform Act of 2018). Advance Disclosure Requirement: If an investment qualifies as described above and is between a foreign investor and a qualifying U.S. target, the parties to the transaction are required to make a disclosure to CFIUS. If the parties do not make this disclosure, CFIUS may retroactively nullify the transaction, and the non-filing parties may be subject to civil fines up to the value of the transaction. The parties to a qualifying transaction will have two options: either file the traditional notice under CFIUS’ standard procedures, or provide a declaration filing, which serves as an abbreviated notice filing that should generally not exceed five pages (a notice can consist of 40-50 pages with volumes of supporting documents and may take considerable time and effort to prepare). The specific requirements for both the notice filing and the declaration filing are articulated in the regulations, but both filings require typical pieces of information such as party names, purchase price, foreign ownership, etc. Declaration filings must be filed at least 45 days prior to the transaction’s proposed completion date, and CFIUS will have 30 days to reply to the declaration filing. CFIUS can conclude its review of the transaction allow the transaction to proceed. The pilot program can potentially complicate companies’ calculus regarding deal timing and how to proceed with a CFIUS review. In some situations, while it may be feasible to submit a declaration, there may be a compelling reason to instead file a formal notice, which may differ based on, for example, the type of technology involved. Determining which option makes more sense will require companies to think about CFIUS-related considerations much earlier in the typical deal timeline. CFIUS reviews have become more unpredictable and often take significant time to complete. For deals involving specific countries, such as China and Russia, the difficulties inherent in securing CFIUS approval are much greater. At the same time, the risks of failing to seek CFIUS approval for a covered transaction are potentially more significant. To best mitigate the risks arising from the updated CFIUS process, buyers, sellers and investors should engage in discussions about a deal’s national security risk profile early in the process of structuring a transaction or considering whether a deal makes sense. A meaningful assessment early in the process will help protect the deal’s value to both buyer and seller and ensure there is enough time to address all regulatory requirements, or avoid a situation where a transaction that would be unlikely to pass muster goes forward. In some situations, mitigation of CFIUS concerns before a deal is submitted to the process will be much easier than trying to mitigate during a review, when the timelines become fixed and flexibility is constrained by the need to consult with the government. ii. Duration: The pilot program commenced on November 10, 2018, and will end no later than the date on which the final FIRRMA regulations are implemented, which is expected to be March 5, 2020.